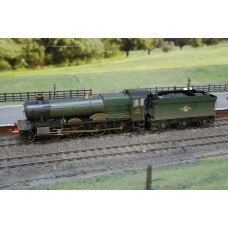 A Mainline Railways OO gauge model, Manor class named Lydham Manor, numbered 7827 in BR black livery.. 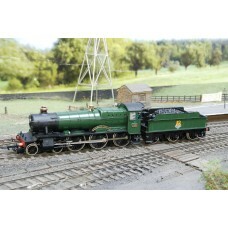 The Bachmann 31-300 Bradley Manor 7802 steam locomotive is a detailed OO gauge model train in GWR gr..
A Mainline Railways, GWR 4-6-0 Manor Class Hinton Manor 7819 steam locomotive. Produced by Mainline .. The Hornby R2547 4-6-0 Grange Class steam locomotive, named Llanfair Grange with running number 6877.. 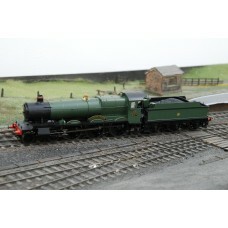 The Hornby R2404 is a Class 4-6-0 6800 Grange Class OO gauge steam locomotive, the steam loco is num..